Twenty-five years on from "Less Than Zero", we pick up again with "Clay". 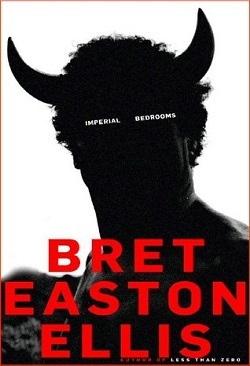 In 1985, Bret Easton Ellis shocked, stunned and disturbed with "Less Than Zero", his 'extraordinarily accomplished first novel' ("New Yorker"), successfully chronicling the frightening consequences of unmitigated hedonism within the ranks of the ethically bereft youth of 80s Los Angeles. Now, twenty-five years later, Ellis returns to those same characters: to Clay and the band of infamous teenagers whose lives weave sporadically through his. But now, some years on, they face an even greater period of disaffection: their own middle age. Clay seems to have moved on - he's become a successful screenwriter - but when he returns from New York to Los Angeles, to help cast his new movie, he's soon drifting through a long-familiar circle. Blair, his former girlfriend, is now married to Trent, and their Beverly Hills parties attract excessive levels of fame and fortune, though for all that Trent is a powerful manager, his baser instincts remain: he's still a bisexual philanderer. Then there's Clay's childhood friend, Julian - who's now a recovering addict - and their old dealer, Rip - face-lifted beyond recognition and seemingly even more sinister than he was in his notorious past. Clay, too, struggles with his own demons after a meeting with a gorgeous actress determined to win a role in his movie. And with his life careening out of control, he's forced to come to terms with the deepest recesses of his character - and with his seemingly endless proclivity for betrayal.